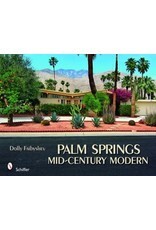 178 stunning color and b/w photos present mid-century modern architecture clustered, perhaps in its highest concentration, in Palm Springs, California. 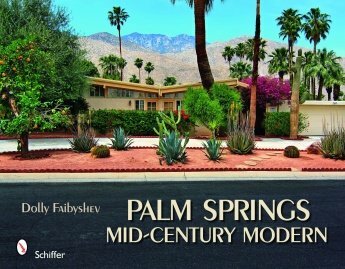 The desert environment and Hollywood stars inspired architects of the day to creative heights, including Donald Wexler, E. Stewart Williams, William Krisel, Albert Frey, William F. Cody, and Richard Neutra. See the Frey House II, Kaufmann House, “House of Tomorrow,” and many more. Distinctive architectural features include carports, stone and perforated walls, chalet entrances, extra large driveways, walls of glass, indoor/outdoor spaces, deep overhangs and peaked, butterfly, and L-shaped roofs. For all who are passionate about architecture, this book will be a treasure.